Cinchona chlorrhiza Bory ex DC. Cinchona cladorrhiza Bory ex Wedd. The plant is harvested from the wild for local use as a mordant, dye and medicine. Africa - Madagascar, Mauritius, Réunion. World Conservation Monitoring Centre; Cambridge. 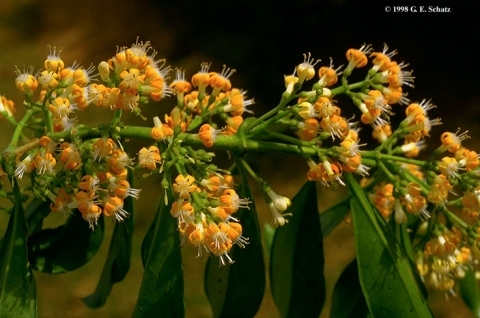 Contains a list of the Ethnobotanical uses of Madagascar plants.